TMT stands for Tread Mill Test. It is a screening tool to test the effect of exercise on the heart. 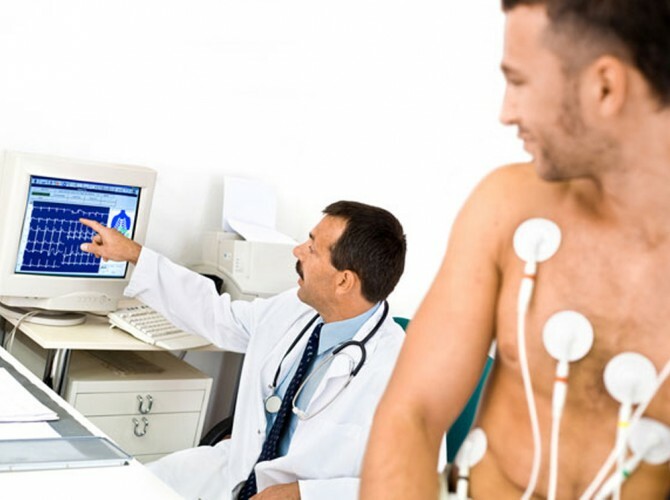 In this test patient is made to walk on a treadmill and electrical activity of the heart is measured with an ECG, and blood pressure recordings are taken every few minutes. As per a standard protocol patient is made to walk till target heart rate is reached, but if the patient develops chest discomfort or ECG changes the test is terminated. The test is usually positive when the coronary stenosis is >70%. At Indo Gulf Hospital the test is performed on GE- T 200 TMT machine in the safe hands of our experienced cardiologist.